What is the point of the body? The church is Jesus’s body on earth. So we should be continuing Christ’s ministry on earth. Feeding, healing, blessing, lifting up the broken and marginalised. We are his body. Not just preaching at people – that would mean the church is just one big mouth – we need to be Jesus’ hands and feet to go to go to the needy and hungry and broken and care for them. That is the church’s mission. Well there’s plenty of good sentiment in there about having compassion for the needy and marginalised. As John Piper said at the last Lausanne conference if we don’t care about physical suffering we’ve got defective hearts. We should be like our heavenly Father who sends rain on the just and the unjust and like the Son who blesses even his persecutors (Matt. 5:44-45). I find that very convicting. But are we right to say that this is the church’s mission? I.e. what we are commissioned to go out into the world to do not just as children of God but as a church? In particular, can we draw this mission stuff out of Paul’s teaching that the church is the body of Christ? 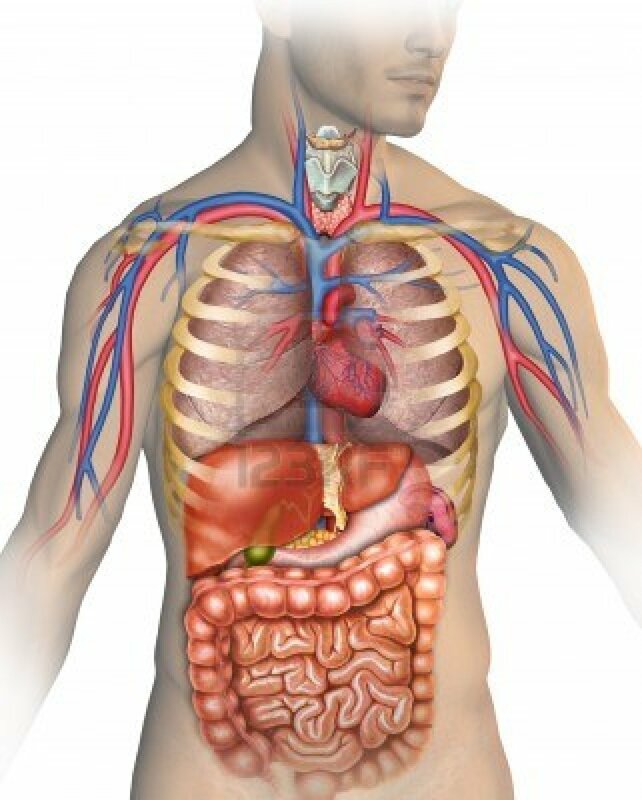 1 Corinthians 6:15-17 – Your bodies are members of Christ. Do not unite with a prostitute. 1 Corinthians 10:17 – Unity in our communion with Christ. Ephesians 1:22-23 – The headship of Christ for the church. The exalted position of the church in union with Christ. Ephesians 2:15-16 – Reconciliation with God and with one another – Jews and Gentiles – through the Cross. Ephesians 4:11-16 – The five-fold or four-fold (whichever you prefer) Word-teaching gifts are for equipping the whole church for works of ministry – not ministry out in the world so much as to build up the body of the church (v12). And this building up means not so much numbers but unity in the faith, knowledge of the Son and corporate Christlikeness (v13-15). Each part of the body is to work together to build up the body/church (v16). Ephesians 5:23-32 – Christ saving, loving and nourishing the church. that we need to look for the purpose of biblical metaphors and be careful not to cut them free of their context and run with them in all directions. One way is to go back to Genesis 12 and say, look at the blessings Abraham was promised – “I will bless you and make your name great” (Gen. 12:2) – and look at all the physical ways in which he was blessed: “Now Abram was very rich in livestock, in silver, and in gold” (13:2 cf. 24:35). So it’s very simple, the gospel is being blessed with lots of camels. Or maybe I focus on Gen. 12:3a: “I will bless those who bless you and him who dishonours you I will curse”. You can clearly see this worked out in the life of Abraham (e.g. Gen. 12:10-20; 20:1-18) and his descendants. So then the gospel is victory over your enemies and favour with the powerful. Or a slightly different way to go is to focus on “and you will be a blessing” (Gen. 12:2) or “in you all the nations of the world will be blessed” (Gen. 12:3b). This can then become the lens through which we view the whole Bible story – it’s the story of God bringing blessing to the whole world. That’s the gospel and that’s our mission, to partner with God in extending this ever-spreading blessing to the world. And the word ‘blessing’ here often becomes a very broad, flexible, catch-all category – it’s about ‘transformation’, ‘happiness’, ‘shalom’, ‘healing’, ‘redeeming the whole creation’. The problem with all this is that Galatians has been left behind. Surely the best commentary – the divine, authoritative interpretation of Genesis 12 – is Galatians 3. If we’re not careful we start looking through the wrong end of the telescope. Instead of Galatians 3 being our lens on Genesis 12 (and in fact most of the Torah), Genesis 12 (and not a particularly careful contextual reading of it) becomes our lens (or rather filter) for the whole of the rest of the Bible. What does Galatians 3 say the blessing of the gospel is? Justification. “And the Scripture, foreseeing that God would justify the Gentiles by faith, preached the gospel beforehand to Abraham, saying, “In you shall all the nations be blessed.” (Gal. 3:8) The blessing is being declared righteous. Not by works but purely by faith in Christ Jesus (Gal. 2:16). The old sinful nature crucified in Christ’s death and a new life and status in Him (Gal. 2:20-21). And Abraham is the great example for us – because of his wealth? because of his victory over enemies? because of his obedience? 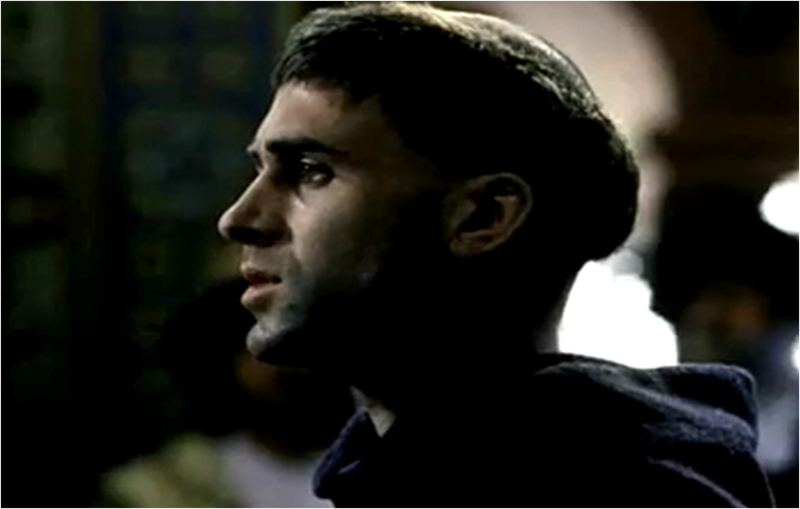 No – because “he believed God and it was counted to him as righteousness” (Gal. 3:6). In an earth-shaking statement for a Jew, Paul continues: “Know then that it is those of faith who are the sons of Abraham” (Gal. 3:7). Justification by faith. In Christ. In Galatians 3:10-14 Paul turns to Deuteronomy and Leviticus, showing their fulfilment in Christ taking (in fact: becoming) the curse of the Law on the Cross. “So that in Christ Jesus the blessing of Abraham might come to the Gentiles” (Gal. 3:14). The promised Abrahamic blessing is found in Christ. It is not so much something given to us by Christ, an object external to him, a package of benefits that you get when you sign up to Christ – No – it’s about being found righteous and uncondemned in Him; it is about being blessed in Christ with every spiritual blessing in the heavenly realms. Sons of God. “For in Christ you are all sons of God, through faith. For as many of you as were baptised into Christ have put on Christ… and if you are Christ’s then you are Abraham’s offspring, heirs according to promise.” (Gal. 3:26-29) These verses join up a lot of stuff: justification through faith, Abrahamic promise and Sonship. The premier blessing received through faith, the premier blessing in Christ, is to be sons of God, adoption. The blessing in Christ is to be in Christ. With the same status as Christ. With the same love from the Father as Christ. These are unbelievable things to say. As sons we are heirs to the Abrahamic inheritance (3:29; 4:1,30) – that is the inheritance of the kingdom of God (5:20) – but that is for the future (note: ‘will inherit’). The blessing for now (and eternity) is to be called children of God, one with Christ, participating in the Godhead, filled with the Spirit who calls out “Abba”. The prosperity gospel is onto something very important. It is wrong to fix on physical blessings as the main thing. And it fails to read Scripture as all about Christ. But it is absolutely right to insist that the gospel is blessing. The good news is actually good news. In our concern to avoid the prosperity gospel and stick to the ‘old gospel’ we can end up saying, “Look, you don’t want to go to hell do you? So believe in Jesus and you won’t go there. Following him is going to be really hard and you might have to stop doing lots of fun stuff but at least you won’t go to the hot place when you die.” I caricature. But there is a real danger that we actually buy the devil’s ancient lie that God is not really good, the world is good, sin is fun, God might be necessary but he’s not really that great to be around. So you might as well wait till your death bed to convert. That’s a lie. Jesus is really really good. The gospel is about blessing – the sweetness of complete forgiveness, being saved by Jesus and united to him, being utterly known and utterly loved as God’s children. Mission is not about bringing some vague blessing to the world. If we are New Testament believers, it is about bringing the gospel of Jesus to the world – the gospel of justification by faith alone in Christ alone. This will in turn lead to a lot of transformation on every level of society, but the cutting edge of mission is the proclamation to fellow sinners of Christ crucified. Covered all sorts of stuff today. Praise God for teachable humble engagement with the Word. The theme that seemed to emerge through the day was about our wretchedness and Christ’s wonderful salvation. In the morning Bible studies we were encouraged by Paul’s Christian experience in Romans 7: “Wretched man that I am! …Thanks be to God through Jesus Christ our Lord”. Then in Isaiah 6 we saw the prophet having a similar experience: “Woe is me!” (cf. the 6 woes in the previous chapter) as he see the Lord (Jesus) high and lifted up (cf. John 12) in the place of atonement. In Job 2:11-3:26 we saw the wretchedness of Job – this time not a wretchedness from guilt but suffering as the blameless servant of God – an honest window into the dark night of the soul and ultimately a picture of Christ in Gethsemane with his useless comforters, of Christ on the Cross, enduring the forsakenness, the hopelessness of hell, suffering worse than death. Christine introduced Augustine in 30 minutes and it came out clearly that most of the heresies the great pastor-theologian fought (Manichaeism, Donatism, Pelagianism) had an insufficient appreciation of human (and Christian) sinfulness (and there are certainly assumptions in that direction in our Kenyan context). Augustine, through his reading of the Scriptures and his own experience knew the true wretchedness of the human condition. Then Harrison led the most meaty session of the day as we grappled with the doctrine of salvation, especially from Ephesians 2, seeing again the wretchedness of our natural state and the wonder of our sovereign deliverance in Christ – from hell to heaven. (Harrison’s paper on the doctrine of salvation written when he was an apprentice himself in 2006 is here). After a Jinsi Ya on Interview Preparation Skills, Sammy gave us some very helpful guidance on being Steadfast in the workplace. inextricably linked with suffering (Eph. 3:1, 13). That these doctrines would not puff us up but do their real job of completely humbling us and turning us to rejoice in Jesus. For James Wainaina, myself and others speaking on Pastoral Ministry, Shaping a Sermon and lessons from Luther and from the East African Revival. That the apprentices would be seeing things for themselves from the Word. Question: How is Matthew 13:1-23 normally taught in your context? The importance of the Doctrine of God – What sort of God do you see in Matthew 13:1-9? (One brilliant answer from one of the Cornhill guys – “A God who gets his feet dirty”). Common mission motivation techniques: Whip them or whip them up. Best motivation is knowing a gospel-shaped God – revealed only and fully by Jesus (e.g. Matt. 11:27). If we take the concept of ‘God’ for granted, Christians and even whole churches can easily inadvertently be worshipping Baal (the distant, hard to please, amoral, prosperity god). In reaching muslims, we are not trying to convince them that Jesus is Allah but that God is Jesus. Sovereign grace – (Matt. 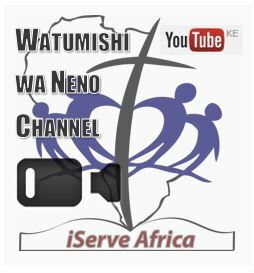 13:11-13, 16; 12:25) – In the East African context, partly through the influence of pentecostalism with its roots in the holiness movement and partly through the influence of the East African Revival with its roots in 1960s Keswick theology, there is a strong emphasis on total consecration, making a decision, committing your life to Christ, giving your life to Christ. There is far more emphasis on me and my choice than on God and his choice of me. A greater emphasis on sovereign grace – you were blind and God opened your eyes, you were dead and he raised you to life – is a humbling but freeing gospel that would lead to much greater assurance and focus on Christ. History – (Matt. 13:14) — The parable of the sower is first and foremost about a particular historical situation: as Jesus walks around Israel the Pharisees and teachers of the Law have massively rejected him; vast crowds follow but their faith is shallow and they will quickly fall away; there is some good soil – in particularly the apostles (13:11). The parable is not so much timeless principles as about what is happening in the days of Jesus’ earthly ministry. When the gospel becomes a now-focussed message of personal transformation, we need to recover the historical gospel. Emotion, feeling not a bad thing – answer is not less emotion but get emotional about right thing. Jesus’ mission strategy is God’s word to God’s World – and that continues to be his strategy in Acts and today. Obvious but worth underlining because it is rare on the mission field. Not many mission societies are completely focused on this. So easy to be distracted. The ‘mile wide inch deep thing’ is a bit misleading. Why are we seeking the Lord’s will? Jehoshaphat has just led a greater revival than his father Asa (2 Chron. 17) but now he’s throwing in his lot with the terrible apostate king of Israel Ahab (2 Chron. 18:1-3). Unlike the northern king, Jehoshaphat is still concerned to “Enquire first for the word of the Lord” (v4). But why? Is he really willing to obey it? It turns out later that he is not (v28). Are we looking to God’s Word to rubber stamp what we already think and want? How different are we from Ahab who’s main concern is for someone to tell him something good about himself (v7)? Who is our master? For the 400 prophets it’s pretty clear who’s the boss – the king – their pay master general. For Micaiah it’s also clear – “As the Lord lives, what my God says, that I will speak” (v13). What about for us? Who are we ultimately trying to please – our mentor/supervisor/senior pastor/bishop, our congregation (what their itching ears want to hear), ourselves, or “the Lord sitting on his throne” (v18)? Are we more concerned for passion or for truth? Zedekiah ben Chenaanah has a very powerful message. He ‘goes symbolic’, he declares “Thus says the Lord”, what he says is followed by multiple ‘confirming words’ (v10-11)… but it is just hot air. What do we mean when we say that a sermon was “powerful”? Do we want preaching that blows the roof off and sends us out pumped up to take on Ramoth-gilead or do we want the truth? Are we willing to be unpopular? The 400 prophets have strength in numbers and the favour with those at the top of society. Micaiah is pressurised (v12), slapped in the face (v23) and imprisoned (v26). The same happens to Jesus and then Paul and then to thousands of those who have preached the pure Word of God through the ages. Much as we pray and work with all His energy for a revival of faithful Bible teaching we had better get used to the fact there will always be great resistance and very rarely will faithful prophets be in the majority. Are we under judgment? When we look ‘behind the scenes’ and see why the 400 prophets are united in false prophecy (v18-22) we have to face the possibility that a rise in false teaching may be a judgment from God. Praise God that even in judgment he remembers mercy and has his true prophet in place (v7), responds to the desperate cry of the Davidic king (v31), preserves a remnant (1 Kings 19:18) and soon brings a new revival (2 Chron. 19-20). What kind of message do we have? At first sight (or hearing) the message of the 400 prophets sounds like good news (v5-11) while Micaiah’s message sounds like bad news (v16-22). We might start thinking, “So the prosperity gospel preachers have got all the good news and we just have bad news to tell people?” But look closer and follow where it leads and you find a different story. The message of the false prophets is, “You strive and God will give you victory” – and it leads to destruction (v34). The message of the true prophet is, “God is desperately concerned for his sheep and their shepherd who are heading for disaster and he’s graciously giving you this warning ahead of time” (v16) – all you have to do is believe this message and sit still and you will live. The words of the false prophets tie on heavy burdens and make empty promises. But the faithful preacher has the words of eternal life, the voice of the Good Shepherd, grace and safety – words that sting at first and cut down pride but only to heal us and free us and lift us up to the throne of grace. At the same ‘First Priority’ we looked at the country of Germany – where the Reformation began 500 years ago. We could see various parallels between Micaiah ben Imlah and Martin Luther. Both massively out-numbered – almost lone voices preaching the truth in the midst of thoroughly corrupted and twisted religion. Both preached the inability of man and the sovereignty and love of God. Both hauled up before the authorities (having been lent on very heavily to just go along with the official Church view). Both declared their consciences bound to the Word of God. And both suffered for their stand. Latest estimates suggest that in Berlin today only 0.1% of the population are evangelical Christians. There is great need of a new revival, a rediscovery of the power of the Word of God, the beauty of Jesus, the good news of grace alone, justification in Christ. For a good brief profile of the German mission context see here. 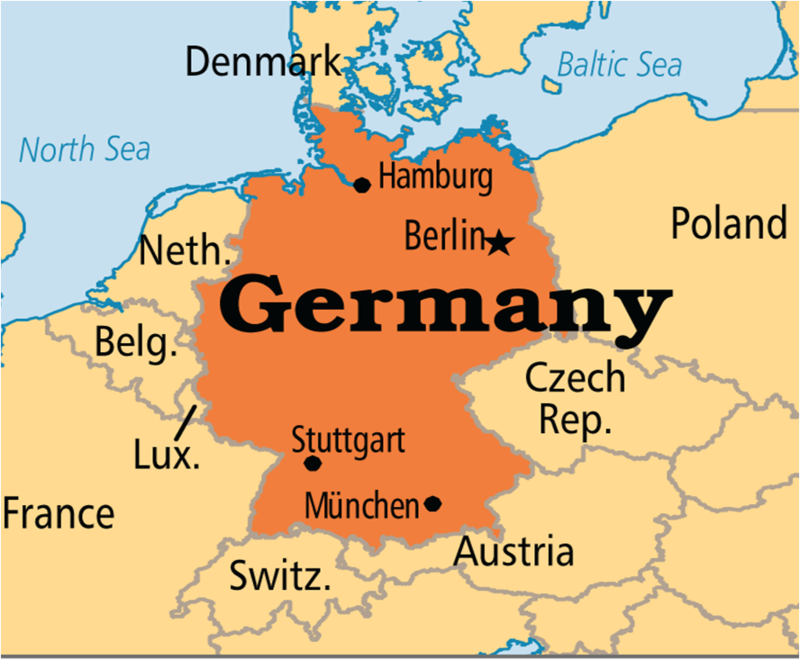 For more prayer resources on Germany see here. 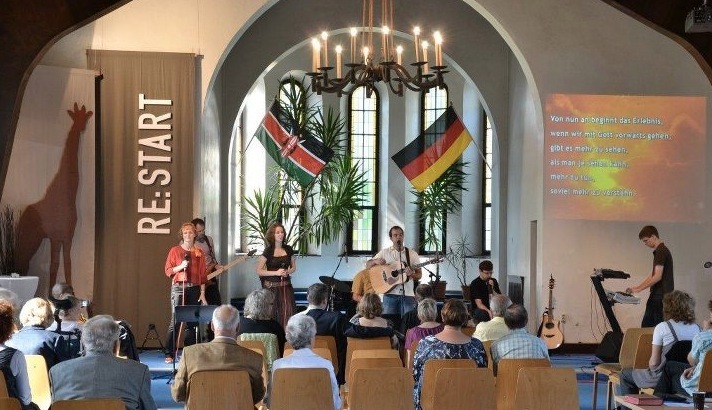 For an example of mission from Kenya to Germany see here and here. missionaries must seek to lay down their cultural preferences and to accommodate their communication style so that God’s Word can be heard clearly. The question is whether ‘storying’ – that is selecting a number of Bible stories, crafting them to be heard well within a particular oral culture, and then telling or performing them (often in chronological sequence, i.e from Genesis onward) such that they can be reproduced and passed on – whether that is the best or only way to evangelise and disciple oral learners. They talk of ‘crafting’ stories to be ‘sensitive to worldview’ but they seem to mean this mainly in terms of the communication form and style because they also talk about the importance of overturning untrue worldviews. There is an explicit and recurrent concern to counter syncretism and to check the oral Bible stories “to ensure biblical accuracy’”. The great thing about the orality movement is the concern to convey the gospel and the Word of God as the chronological Bible story of God’s redemption work. There is huge power in this. I know a brother and his wife in Dar es Salaam who have welcomed many Muslim ‘Nicodemus’s into their home at night for 1-to-1 chronological Bible reading – going through the key Bible stories in about a dozen sessions – often leading to faith in the true God of Abraham. And it is very helpful even in nominally Christian contexts. Instead of many gospel outlines that are simply four or five abstract propositions to grasp and which give an individual-centred “How to save my soul” version of the gospel (which can easily lead to a “Ticket to heaven in my pocket” understanding of Christianity), the story method wants people to be gripped and changed by God’s story. Rather than putting me or my problems or my behaviour at the centre it says, “Just listen to the story of God.” Instead of confronting behaviour or beliefs it strikes at the deeper level of worldview. This surely is the key not only for evangelism but also for discipleship – getting the Bible story deeper and deeper into us till it flows through our bloodstream. It is quite evident that the apostles and early church did not always open and directly expound the Scriptures in the course of evangelism – they very often do (Acts 2:14-36; 17:2; 28:23) but not always (Acts 10:36-43; 17:22-31). Stephen’s speech in Acts 7 and Paul’s sermon in Acts 13 quote some Scripture but also retell Bible stories in a rather free way. When you look at the way the NT authors quote the OT there’s often a certain freedom or paraphrasing going on (e.g. Matt. 2:23). John Dickson surely gives good advice when he recommends ‘gospel bites’ – responding to questions or challenges from non-Christians with a story about Jesus (e.g. sharing the story of the thief on the cross with someone who thinks Christianity is all about keeping the rules). The Bible is already oral. One of the big aims of the orality movement is to select between 100 and 200 Bible stories, rework them to make them more easily heard by the particular oral community and then compile them into an ‘oral Bible’. This has the advantage of standardisation and stability – i.e. the stories don’t gradually change out of all recognition. But I think I’d want to say that the whole Bible is already an oral work for oral cultures. Very large chunks (e.g. much of the Prophets, Deut., Jesus’ discourses) were originally spoken and only later written. The vast majority of the Bible is in forms usually thought of as ‘oral’ – narrative, proverb, song, poetry. The Scriptures are designed to be read out loud – think of the commands at Deut. 31:11-13 and 2 Tim. 3:13, the all-age Bible reading at Nehemiah 8, the instructions to read out the NT epistles (Col. 4:16; 1 Thess. 5:27; Rev. 1:3). Increasingly, Bible commentators are recognising how many of the ‘literary’ features of the Bible – the repetitions, recapitulations, bookends, summaries, word plays, spiral or numbered structures – are oral features – designed to help the ear and the memory of an oral listener rather than the eye of a silent reader (even private reading in the ancient world would have been out loud – e.g. Acts 8:30). So it is questionable whether the Bible needs much re-working or ‘crafting’ to be heard in an oral culture. While oral cultures obviously differ, they have much in common. A friend working on Bible translation in Mozambique finds that the oral culture there is far better at hearing the Bible narratives and understanding the implicit message than Western culture. 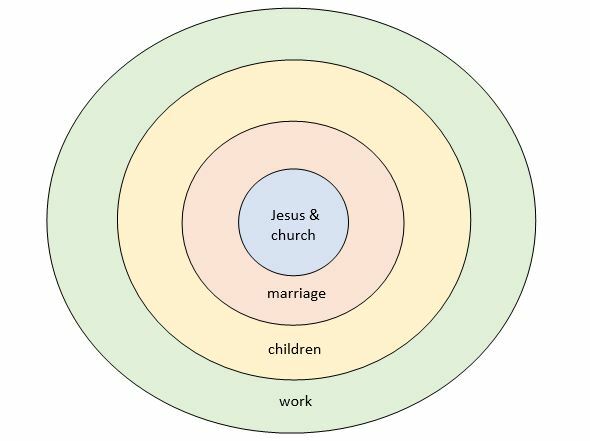 Other friends in Kenya, working with oral learners, are preparing discipleship materials using relatively short Bible stories with hardly any modification and finding that they are both meaningful to those hearing and ‘reproducible’ – i.e. 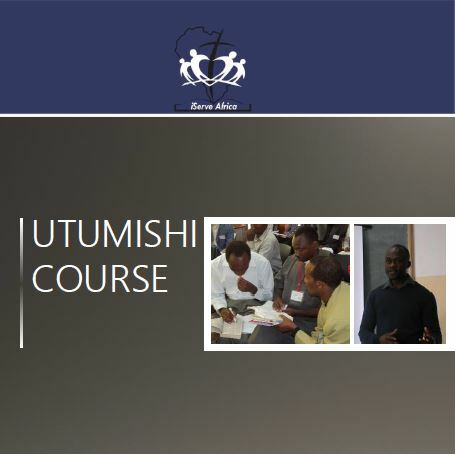 can be memorised and retold – a key aim of the orality movement. In fact the extent of allusion and free quotation throughout the Bible and the degree to which phrases from the Bible have entered into the English language is testimony to how memorable (‘reproducible’) this book is. A brother reminded me recently that we need to have more confidence in the clarity and power of God’s Word on its own – it is often fine just to read the Bible in church and let it speak for itself – to be devoted to the public reading of Scripture (but that’s a whole issue for another post). Is what the orality movement means by ‘storying’ not quite similar to good expository preaching just leaving out the primary text? When I read stories in MDOL of pastors and missionaries taking on the role of village storyteller and communicating the Bible stories as vividly as possible with great sensitivity to the ears of the hearers – it sounds to me like the very best sort of narrative expository preaching. Isn’t that what happens in Nehemiah 8 – “the Levites helped the people understand… they gave the meaning” (v7-8). The only difference is that with storying you don’t have the opening of the Bible and reading it clearly (Neh. 8:3,5,8). As mentioned above, maybe that’s fine in first-contact evangelism but there are dangers if it becomes the regular pattern of a ministry or a church. Where is the authority? With the speaker or with God’s Word? How can you have Bereans checking out the message (Acts 17:11) if you haven’t first been reasoning from the Scriptures (Acts 17:2)? Is there a danger of a Medieval church where only the priest (or the pope) is allowed to handle the original Biblical text while the masses must rely on the reworked message that is served up to them? The issue here is that a reworked/crafted Bible story is not “pure”, free of “interpretative baggage” (MDOL) – it is an interpretation or exposition of the original text in the same way as a sermon (hence my point – aren’t they basically the same thing?). When you retell a story you are making interpretative decisions about what you think the emphasis is, what it’s teaching, how it fits into the big Bible story. Anyone who has compared a few different children’s Bibles knows that it makes a big difference how you retell the story (is the feeding of the 5000 all about the little boy sharing his lunch?). MDOL insists that the recrafted story should be carefully checked to ensure “accuracy” but who does this checking? Presumably an ‘expert’. As mentioned above, MDOL does talk about bringing in Bible translation and literacy work after initial evangelism but as it talks later on about the value of oral Bibles in discipleship an leadership and discusses the increasing functional illiteracy in the West there is a bit of ambivalence on the question of whether bringing people to the text of the Bible itself and helping them read it for themselves is a priority.